Marsh Marigolds are one of the first species of wildflowers to bloom in the high country of Rocky Mountain National Park. 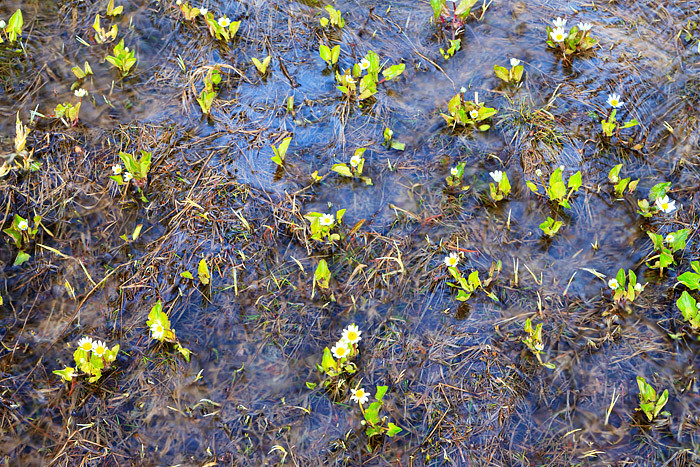 Marsh Marigolds can be found early in the Summer blooming in areas with lots of moisture from snowmelt. I found this patch of Marsh Marigolds blooming near the outlet to Dream Lake on the morning of the fourth of July. The previous years snowpack was slow to melt, and because of this, the conditions were perfect for Marsh Marigolds. Photo © copyright by Thomas Mangan.